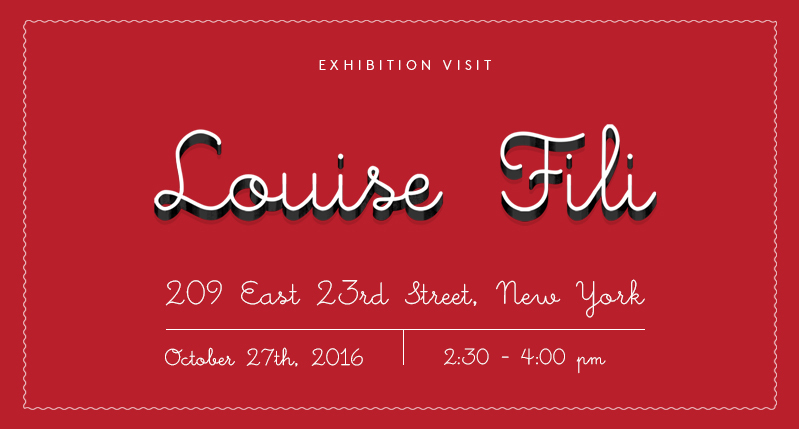 This afternoon, MFA Design students will be personally guided through the amazing work of designer and educator Louise Fili at the 28th annual Masters Series Award and Exhibition. “The Masters Series: Louise Fili”. This is the first comprehensive retrospective of the designer’s influential career and include her book jacket, branding, food packaging and restaurant identity work. The exhibition, designed and produced by Kevin O’Callaghan, chair of 3D Design, will be on view from October 14 through December 10 at the SVA Gramercy Gallery, located at 209 East 23rd Street.